Doodle Madness, as one will see further down this web like page. Sister 1 got wed on Thursday, with all the family shenanigans and obligatory running round like headless chickens. PC died! Okay it didn't actually die, but it was very poorly sick and had to go away to the pooter shop. 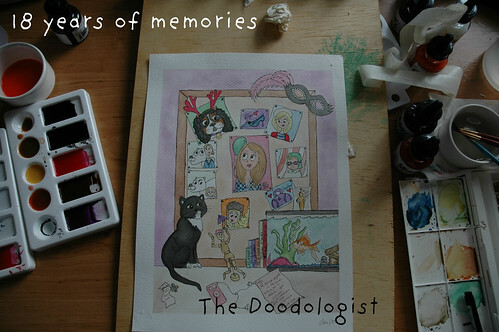 What is happening in the world of The Doodologist? Things are going very well in the world of The Doodologist and I have had some great commissions already! You have previously seen 'Lady Jean' mentioned in the last post Reasons to be a Grumpus. I thought I would update you on the latest finished pieces. The Brief: Create some large headed cute ducks for 'avatar/profile picture' use. The original paintings are then to be donated to charity. More on these little ducks in the very near future! The Brief: Create a doodle that can be used as a teaching aid, the theme is 'King Arthur', with a few hints of England thrown in. The Brief: Create a doodle piece that encapsulates the personality of the doodle recipient and some of their special memories. This was an 18th birthday present from a mother to her daughter. The Brief: A Fathers day present, which has the theme of Man United/Old Trafford burning to the ground, Alex Ferguson being squished and Lincoln City FC winning 'The Cup'. As you can see, all the commissions have been VERY different, as are the ones to come, but they have all had one thing in common, which is FUN. The communication between myself and the doodle clients has been awesome and it is such an honour to take an idea of theirs and turn it into doodle form. 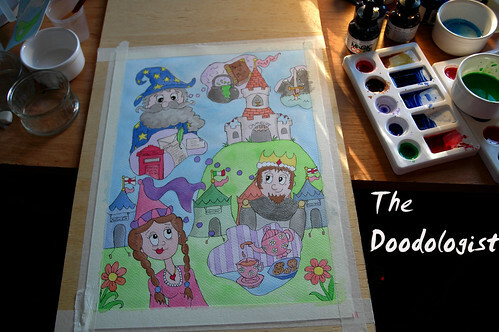 Firstly, I would love to know what you think of the doodles in this post, Secondly, if you have any questions about The Doodologist type things etc, please feel free to ask away! I will be doing a more wordy business update in the near future and it would be cool to know what people wanted to read. Spectacular! I am so very happy that your business is taking off and that you're doing something that you love vs. something that you have to in life. Ah, if only we all could be so lucky! These are too cute! :) I enjoy the detail you put into each one. So I have a business question: Do you use doodling as a tool in counseling (besides the self-exam pictures lol)? If so, how do you use it? @Lois, I really enjoyed doing the 18th birthday one, such a pleasure to create something with someone elses memories and happy times! 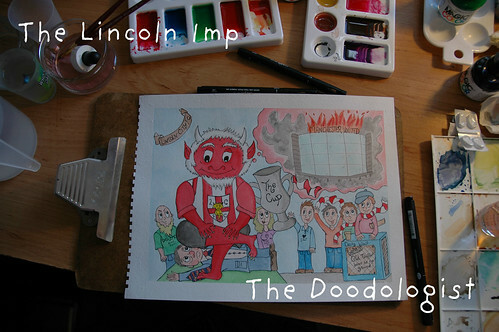 The Lincoln Imp was a LOT of fun, I think he could give Grumpus a run for his money. 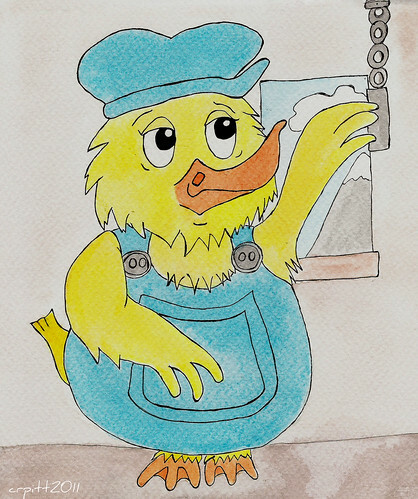 It is an interesting duck tale indeed! @NP: A big massive THANK YOU for sharing in my excitement and watching my adventure as it unfolds. It is great to have company along the way. @Linda: Thank you Linda! Sometimes I wish I had gone straight into arty things at a MUCH younger age, but life didn't want that to happen, so I at least am glad that I eventually got around to it! Here is hoping that you take a few more steps in the direction of where you want to be. Your question prompted me to update my 'about' section, my bad! As I am longer in the counselling business. Not that I am ruling out going back into that world. As I really want to do workshops with people and get them doodling more. I especially love the way people like yourself illustrate their lives, I think if more people doodle like that, the more happy people would be. Doodling was one of the only things that helped me through difficult times, that along with blogging. I think it is just about helping people get what is in their head, out on paper, in word or doodle form. @Crazy Working Mom: Hey thanks dude!!! Much obliged for the lovely comment :) :) The 18 years of memories was quite different from my usually doodling style, so it is cool to see such a good response to it. Wow! You certainly have been busy. Hope the wedding went spendidly. 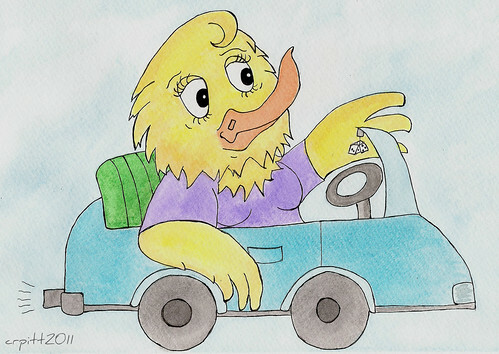 And I LOVE the duckies -- so cute! Looking good, Claire! Man, I'm out of breath from reading so fast. Yeah, I read with my mouth open. I am quite proud of you. You've made me try to dig out some of my old stuff and start in again. I'm gonna post some oldies but goodies - will let you know when. 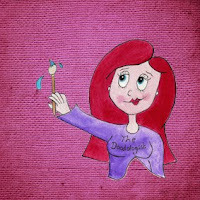 @Janene: I have been busy, just wish I could keep up with my brain, I need a robotic body!